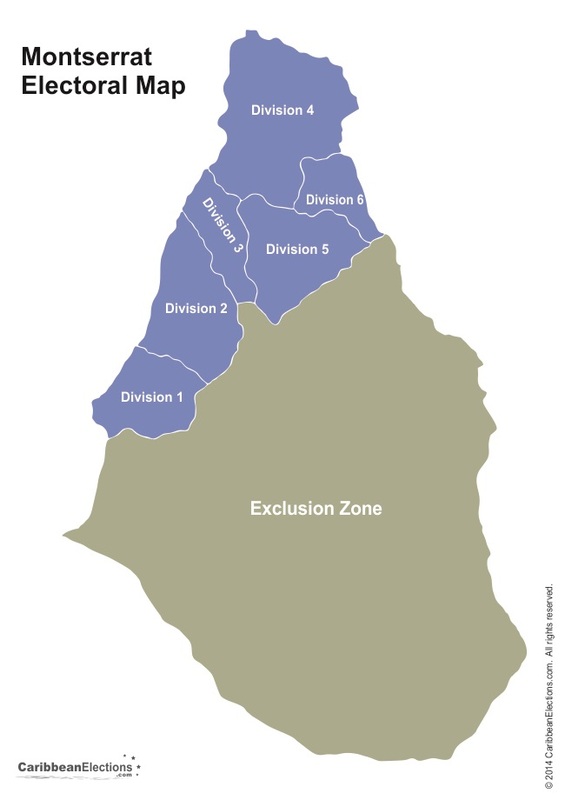 For the purposes of registration and voting the single island constituency will be subdivided into convenient polling divisions by physical boundaries as listed below and as shown on the map below. The poll will be opened on 11 September 2014 at 7:00 a.m. and remain open until 6:00 p.m. The number of votes given to the sevral candidates will be counted on 11 September 2014 at the Montserrat Cultural Centre.